Specifications: Overall Product Dimensions: 80 In. H x 39 In. W x 41.5 In. D Product Weight: 223 lbs 3mm Tempered glass shelves. 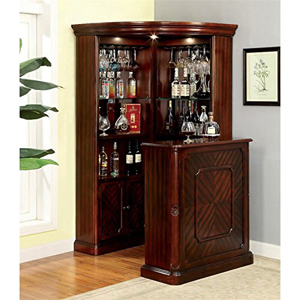 Front Bar Table is not included in the price and can be purchased separately.